Loss of bone and soft tissue attachment are common sequelae of periodontitis that may jeopardize the aesthetic outcome and compromise the functional and aesthetic outcomes of treatment. 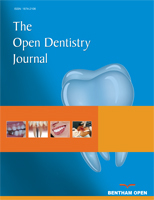 The following case report describes one of the most predictable techniques of vertical ridge augmentation, which is orthodontic extrusion or forced eruption of hopeless teeth. A 34-year-old woman who presented with severe attachment loss and deep pockets was diagnosed with generalized aggressive periodontitis. The mobile maxillary incisors were consequently extracted and were replaced with dental implants. However, prior to extraction, orthodontic extrusion of the hopeless incisors was performed to correct vertical ridge defects. Following extrusion and extraction of the maxillary incisors, to prevent soft tissue collapse and to preserve the papillae during socket healing, the crowns of the extracted teeth were used as pontics on a removable partial provisional denture. After 8 weeks, the implants were placed, and an immediate functional restoration was delivered. After 4 months of healing, a fixed definitive partial prosthesis was fabricated and delivered. After periodontal treatment, over a 2-year period, the progression of aggressive periodontitis was controlled. The mean vertical movement of marginal bone was 3.6 mm. The use of the crowns of extracted teeth appears to be an effective method to maintain papillae. Orthodontic extrusion is a predictable method for the correction of vertical ridge defects. Orthodontic treatment does not aggravate or hasten the progression of aggressive periodontitis. Keywords: Bone augmentation, dental implants, dental papilla, forced eruption, orthodontic extrusion, vertical ridge augmentation. © Rokn et al. ; Licensee Bentham Open.